I chose option 2 – doing some strange mockups that could possibly look like a game that might be in the works. Every so often I shall post a mockup of a game that could potentially be developed but for no obvious reason is not, at the moment. 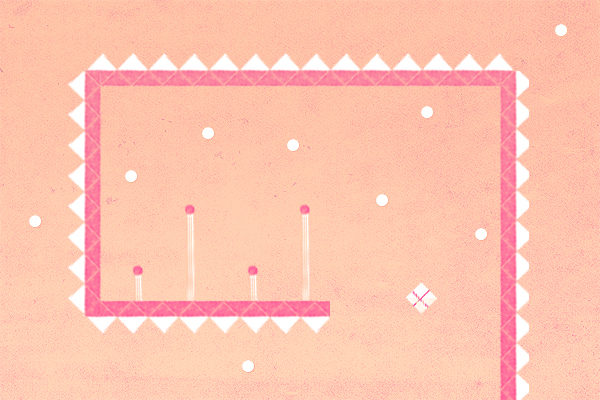 You control the birthday present, need to avoid spikes, collect circles and watch out for moving pillars.